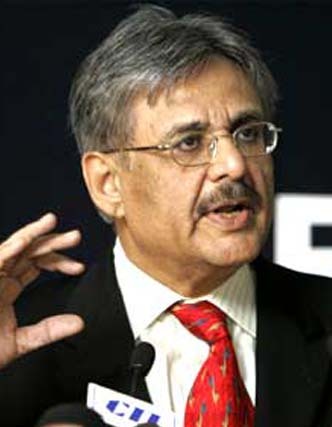 YC Deveshwar is the Chairman of ITC Limited, one of India’s leading private sector companies with a market capitalisation of US$ 45 billion and a turnover of over US$ 7 billion. Deveshwar was conferred the Padma Bhushan and was recently ranked among the top ten best performing Chief Executive Officers (CEOs) worldwide by the Harvard Business Review. Under his leadership, ITC has institutionalised an approach for triple bottom line performance that augments social and ecological value generated by the company’s operations even as it enhances financial value creation. In this far-ranging conversation with Nalin Srivastava, researcher and formerly Director of Operations and Sustainability at the Indian School of Business, Deveshwar challenges management precepts and discusses the basis of ITC’s remarkable success. Let me take you back to 2008 when you were here in ISB, and you made a comment about the bottom of the pyramid. That the only way to make money out of it [bottom of the pyramid] is to write a book? I remember that. When it comes to the base of the pyramid, renowned management experts like CK Prahalad have essentially looked at aggregation of the meagre purchasing power at the bottom of the pyramid and argued that it can be a big market. However, viewing the bottom of the pyramid merely as a market for low cost products would only mean taking away from someone’s meagre resources without enlarging his or her capacity to spend. This does not empower the people living at the margins of society. So enlarging incomes and thereby empowering the purchaser at the bottom of the pyramid should be part and parcel of the business contribution, rather than merely cutting the product to suit a small pocket. It is more important to first create a fortune ‘for’ the bottom of the pyramid before seeking to tap the fortune ‘at’ the bottom of the pyramid. But you are creating two-way markets, expanding skill bases, growing both economic and social value, for example with social forestry and still have been able to manage these contradictions so well. On one hand, organisations like Pepsi tried to introduce new products with low sugar, biodegradable package or low fat content in the chips. But it has somehow not worked out for them. On the other hand, ITC has grown 40 times in the last 15-16 years since you took over and also in a sustainable manner. How is it happening? Empowerment, creating livelihoods and raising levels of income for those living at the margin, enhancing competitiveness of the entire value chain of which we are a part – these have been some of the outcomes of ITC’s triple bottom line strategies and unique business models. Inspired by a vision to enlarge its contribution to the Indian society, ITC has crafted innovative business models that simultaneously build economic, environmental, and social capital — the pillars for sustainable and inclusive growth for the nation. The problem is that markets seldom reward such an approach, since the uni-dimensional focus is on financial wealth creation and quarterly results rather than sustainable growth in the long run. My argument is that when consumers and civil society begin to recognise the sustainability of companies, and when their consumer franchise is directed to those companies in terms of preference of products and services, then investors would automatically be attracted. Investors will then instinctively gravitate towards this larger consumer franchise and thereby to socially responsible corporations. This does not empower the people living at the margins of society. So enlarging incomes and thereby empowering the purchaser at the bottom of the pyramid should be part and parcel of the business contribution, rather than merely cutting the product to suit a small pocket. ITC’s strategy of building world-class Indian brands that create, retain and capture value in the country also anchor the competitive development of value chains extending to the country’s rural areas and backward regions. Brands such as ‘Aashirvaad’, ‘Sunfeast’, Yippee!’, ‘Bingo!’, ‘Kitchens of India’, together with ITC’s Agri Businesses and the ITC e-Choupal initiative, have empowered over 4 million farmers through a farm-to-food value chain. The ITC Choupal Integrated Watershed Development initiative provides soil and moisture conservation to over 1,20,000 hectares. The ITC Choupal Livestock programme has provided Animal Husbandry services to over 8,00,000 milch animals, thereby strengthening the dairy value chain and creating livelihood opportunities. The ITC Choupal Women’s Empowerment programme, has benefitted more than 40,000 rural women, and is supported by the agarbatti value chain powered by ITC’s ‘Mangaldeep’ brand. Another example is the wood-fibre value chain implemented by ITC’s Paperboards and Paper Business, which has provided 65 million person days of employment to poor tribals and marginal farmers. A conscious strategy to promote renewable plantations spread over 1,45,000 hectares and cultivated by tribals and small farmers provide a competitive source of wood pulp to ITC’s Paperboards and Paper Business. Such plantations enable ITC to offer the greenest products in the country under the ‘Classmate’ and ‘Paperkraft’ stationery brands. These deep rural linkages, nurtured over the years, have remarkably enriched the rural eco-system in areas where ITC operates. Instead of focusing on core competence, you have chosen to follow a model of multiple drivers of growth. There is often a proclivity to depend on ideas imported from developed markets. When I took over as Chairman, I was told that ITC should “focus”, meaning that we should confine ourselves to only cigarettes, because our overseas shareholder was in that business. And if ITC did anything else, then it would lose its focus and get overwhelmed. People also teach this in business schools: stick to your core competence and just focus. It is therefore not surprising that conventional wisdom at that point of time did not favour diversification as a prudent strategy of growth. However, our confidence in our strategic thrust to create multiple drivers was based on very strong beliefs. For one, we believed that in an emerging economy with huge untapped opportunities, significant growth and success could accrue if diversity were to be managed well through innovative business strategies. Second, we also recognised that diversity could lend unique sources of competitive advantage and growth that otherwise would not have been possible if we were present in only one sector of business. More so, given the breadth of our enterprise strengths and competencies. Tarun Khanna (Jorge Paulo Lemann Professor, Harvard Business School) and Krishna Palepu (Ross Graham Walker Professor, Harvard Business School) have theorised that institutions are not very well developed in emerging economies. Sometimes companies that have financial and managerial resources can take advantage of the opportunities because they can fill the void in the institutions or their absence in the economy. In essence, however, they create their own institutions or organisation. We have certainly seen focussed companies succeed. While I accept that focus is also important, I believe that diversity and focus can co-exist through a creative process and strategy designed to pursue multiple drivers of growth. Therefore, at ITC, we created a strategy of organisation that enables us to diversify while retaining focus on each business. I will dwell on this a bit later. Diversity creates a large pool of skills and competencies, lending unique sources of competitive advantage for longer term value creation. It also strengthens an organisation’s adaptive capacity in a fast changing world. If you are too focused without diversity, adaptive skills can get lost. Diversity is extremely important. All species that have only specialised have died out. In ITC, vertical integration is showing impact in different areas. 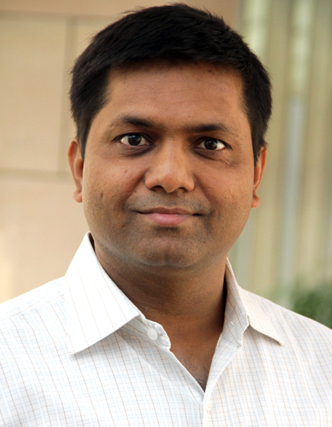 Your expertise in tobacco blending techniques has helped develop processes for blending different varieties of wheat and marketing them according to the taste when it comes to Aashirvaad Atta. Yes, absolutely. It is a matter of how you leverage business synergies by creatively using your resources as well as building unique sources of competitive advantage based on your institutional strengths. It also strengthens an organisation’s adaptive capacity in a fast changing world. If you are too focused without diversity, adaptive skills can get lost. Diversity is extremely important. All species that have only specialised have died out. For instance, we have a unique source of competitive advantage through our hotels business, as our chefs who constantly interact with Indian customers have a deep understanding of the Indian palate. This advantage has been harnessed by our foods division. I cannot think of any other foods company that has access to this kind of knowledge and expertise. For example, even in the case of sourcing atta, our chefs will be able to tell you how good the wheat is and which blend is working better. We have product diversity, we have multiple consumer points and yet we are focused. We are drawing upon different strengths and skills and are blending them to create new and unique sources of competitive advantage that others do not possess. Take for example our back-end. When I became Chairman, I was told to shut down the agri business division because it was making losses. Today, nobody can beat us in segments like atta because they will have to create the kind of institutional strengths that we have built. That is how Unilever’s Annapurna brand, has been replaced by our Aashirvaad brand as the market leader. Aashirvaad is now worth almost Rs 2,000 crores. Where else you have been able to harness a similar institutional capacity to your advantage? Take for example — Club ITC. The idea is to leverage the institutional capacity of ITC to create a unique source of competitive advantage. People who buy our apparel can earn points which they can redeem at our restaurants. People who stay in our hotels can redeem their points at our apparel stores. These are befitting examples of cross-business synergies that are available within ITC. We also merchandise our personal care products at our Wills Lifestyle stores where our staff gets the opportunity to interact and engage with customers and gain valuable insights on their choices and preferences. Another example of building strengths through vertical integration is that of our packaging business. Given the strategic role of packaging in our consumer goods FMCG businesses, we have invested in state-of-the-art facilities that gives us complete control over packaging quality which is vital for product appeal, be it foods or personal care. It is a matter of thinking out of the box and harnessing business synergies. In your organisational structure, is the board the key? Our organisational structure is based on a model of distributed leadership. We have crafted a three-tiered governance structure with the board of directors for strategic supervision, a corporate management committee for strategic management and divisional management committees for each individual business. Each business is headed by a chief executive who focusses only on his area of business. So we have the advantage of any other focused company if you look at each of our individual businesses because each chief executive plays no other role. The structure, processes and practices of governance are thus designed to support effective management of multiple businesses while retaining focus on each one of them. We have a unique source of competitive advantage through our hotels business, as our chefs who constantly interact with Indian customers have a deep understanding of the Indian palate. This advantage has been harnessed by our foods division. I cannot think of any other foods company that has access to this kind of knowledge and expertise. So how does the transfer of knowledge or intersection of ideas happen in that case? That is the role that a person like me plays. The orchestration of flow of knowledge has to happen from the summit view. The chief executives and their management teams are encouraged to focus on their respective businesses. But then when you are reviewing with them, they can also be open to leveraging some of the institutional strengths that we have in our company, depending on the context of the business. For example, if the hotels have a loyalty programme, I might ask them, why don’t you have redemption in clothing? Why don’t you have a shop inside the hotel, with a loyalty programme where a guest can pick up points? Guests can purchase clothes for themselves, their kids or their spouses and earn points on the same. This provides instant gratification and also helps in retaining your customers. While interviewing ITC Hotels Divisional Management Committee members, I was very impressed with the way the thought leadership got translated for each employee. That is right. There would be differences amongst businesses as each is guided by its individual leader. Though the fundamental direction of innovation, commitment to quality, consumer orientation are the same, the methods to accomplish them may be different. One business may adopt the Six Sigma approach, while another may focus on Total Productivity Maintenance or some other system. The lingo may vary, depending on the local leadership and the context of the business. It is not that everybody is a clone of YC Deveshwar. But the fundamentals, the core values run through every part of the organisation. For example, failure on quality is an offence that can get you fired. It cannot be tolerated. Everybody knows that even at the 99th step, if you detect something wrong, even if it means incurring a loss for the company, it must be stopped. There is no other Company that has so many chief executives. We have 13 chief executives who are heading diverse businesses. The Tatas also have a similar structure, but they are separate companies. In India, we are the only ones with as much diversity — from paper to hotels, information technology, foods, personal care, matches, agarbatti, packaging and agri business. Hence, with this wide range of activities, the application of principles and their orchestration is a creative process in relation to the context. Where does mandated Corporate Social Responsibility (CSR) contribution fit in? There is a perception that any social intervention that benefits the company or helps the business interest of a company is not CSR. It is my belief that the two have to be merged to enable CSR activities within the context of your value chain and your business. This ensures that in the long run, you create resources for your business in the environment and the environment for your business strengthens its competitiveness. That is a difficult concept. So, while you are asking companies to pay this money, if they don’t do it in a manner that is also synergistic with their competitiveness, then in a globalised business environment, they will become laggards. The adverse impact can negate the purpose of the policy in this respect. The sustainability dilemma is this. Are sustainable business practices a cost to a company or are they a trade-off between creating shareholder value in the short run and creating larger societal value in the long run? And what does a long-term approach mean? Is there a long run, if you cannot sustain the short term? These are critical questions. With the mandated CSR spend, you will not be able to leverage the special innovative and managerial capacity of business, to create additional value. It would be like a tax. If you have already taxed us 34%, you can tax an additional two per cent. But the idea of getting business to participate in CSR is to take it much further than where mere financial outlays will take you. This mandated CSR spend can also breed corruption. For instance, vested interests may say why don’t you contribute this amount to my project, and you can charge it to the CSR budget. You have been a trailblazer for your views on sustainability. Many consider sustainability to be a dilemma. What are your views? The sustainability dilemma is this. Are sustainable business practices a cost to a company or are they a trade-off between creating shareholder value in the short run and creating larger societal value in the long run? And what does a long-term approach mean? Is there a long run, if you cannot sustain the short term? These are critical questions. The ability to juggle both the short run and the long run simultaneously through super-ordinate vision, robust strategy, strong values and organisational vitality enables you to create winning sustainable companies for tomorrow. This is a conscious movement in the entire company. In hotels, it has taken a different form, where we have developed the concept of “responsible luxury”. In addition, the concept of green buildings is incorporated as early as during the planning stage itself for all new construction — whether they are warehouses or cigarette factories or food factories. They are integrated into the total design. ITC is the only company in the world, to my knowledge, that is water positive, carbon positive and solid waste recycling positive. And the beauty is that this is all within the context of our businesses and not in the form of charity. Sustainable livelihoods are an integral part of green output. Do you also see this as a part of the shift from shareholder to stakeholder value creation? Competitiveness and sustainability can be synergistic and can create shareholder value. This requires unique business models that integrate the creation of long-term shareholder value with the enhancement of societal and environmental capital. This is only possible if larger societal development is delivered within the context of a business. The triple bottom line approach can be synergistic and can lead to the creation of these unique business models. This of course is a creative process where you need to conduct your businesses in a manner that social and ecological capital formation as well as financial capital formation are all synergistic. Of course, this approach will entail a gestation period before the social and environmental value begins to reflect on the financial dimension. One way of achieving this synergy is to actually get civil society and consumers to be more sensitive to the products and services of companies that are more sustainable than others. That itself requires new institutions, measurements, creating labels or symbols that the consumer can relate to and exercise consumer choice. Once that happens, investors will go where the consumer franchise is. And this thought process continues to be the backbone of e-Choupal and also of your animal husbandry project. Even before you foray into dairy, you are making sure that the back-end and partnerships are very robust. That is our strategy. That is our approach. We are seeking to strengthen the back-end. We are going to boost animal health, milk productivity and create collection systems to really empower farmers so that they can adopt the kind of robust practices that are required. This will ensure traceability and identity preservation, which will help us provide customised products to consumers. This is possible only in the long haul. These practices cannot be adopted in a world where chief executives are fired after eight quarters or five quarters of no return. You cannot adopt a long-term approach in such a situation. It is not possible unless it is ingrained into the system. You therefore need stable and continuing leadership. Of course more research is needed to work out the returns that you get from this kind of initiative. Donating a certain percentage of your money to charitable causes may also be necessary. It is useful to contribute to disadvantaged sections of society or, say, a hunger programme. However, that is just a one-off case. The whole dilemma is whether to teach people how to fish or to give them fish. Somebody in West Bengal once told Mother Teresa that she should teach people to fish rather than give them fish. Her answer was that they were so feeble and rejected by society that they would not be able to even hold the fishing rod. So she preferred giving them fish till they had a little strength. She would then hand them the rod. So we cannot ignore this perspective as well. Our model is different. We believe in creating sustainable livelihoods rather than just giving money as charity. In the longer run, sustainable livelihoods in the context of business can create competitiveness. Therefore, the model is not dependent on one committed chief executive alone. It is an essential ingredient of conducting business in a competitive manner. If return on capital, competitiveness, consumer satisfaction and societal value creation are all aligned, then the model becomes sustainable.